Week One Christmas In July Winner Announced Today! 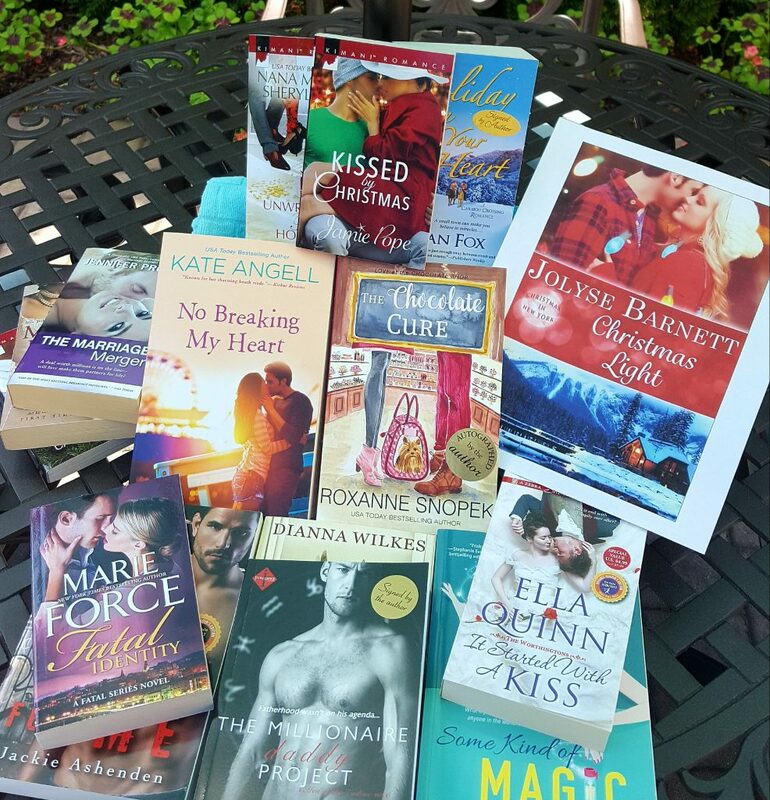 Last July, happy readers scooped up signed paperbacks from four of my romance author pals. This summer I’m celebrating the holiday spirit with more reader gifts. Each winner will receive one paperback romance from my stash of reads AND my Amazon #1 Bestseller holiday ebook, Christmas Light. 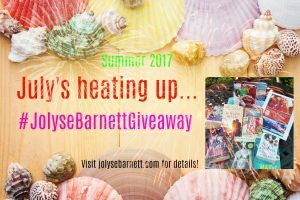 For your chance to be one of three weekly winners, simply comment on my blog and Facebook Reader Page posts labeled with #JolyseBarnettgiveaway. 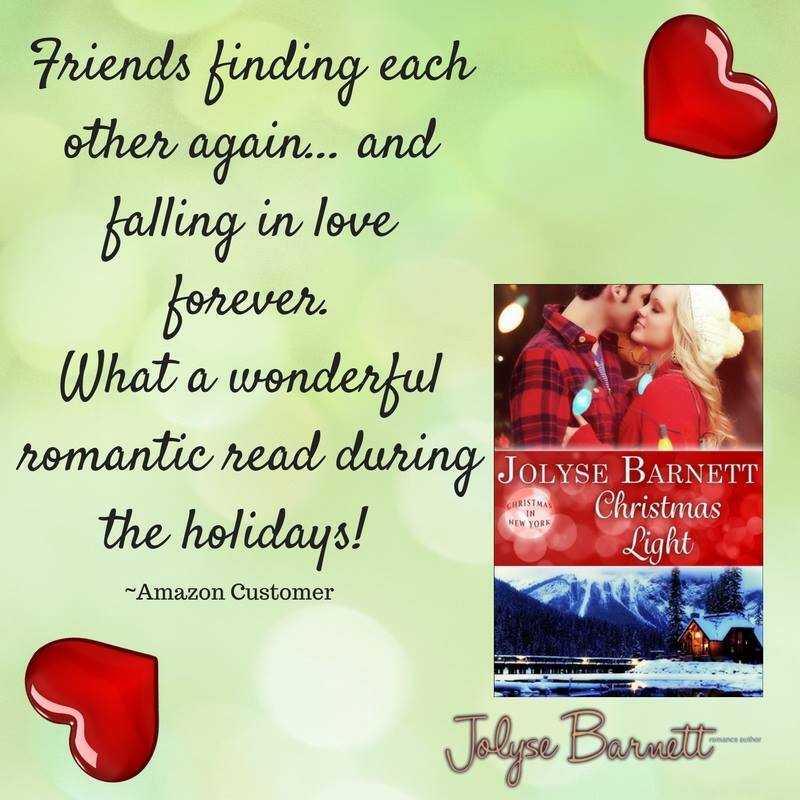 What Makes a Jolyse Barnett Romance Special? Happy Valentine’s Day! I’m excited to share that my Single in the City fun & flirty romance, Text Me, Maybe, is part of Entangled Lovestruck’s week-long celebration of the holiday. Click on the title to read a sample and find the buy links for Matthew and Lexie’s urban romp to happily-ever-after. Christmas Light Hit Amazon’s #1 Bestseller OVERALL! I’m all about shopping for a cause! 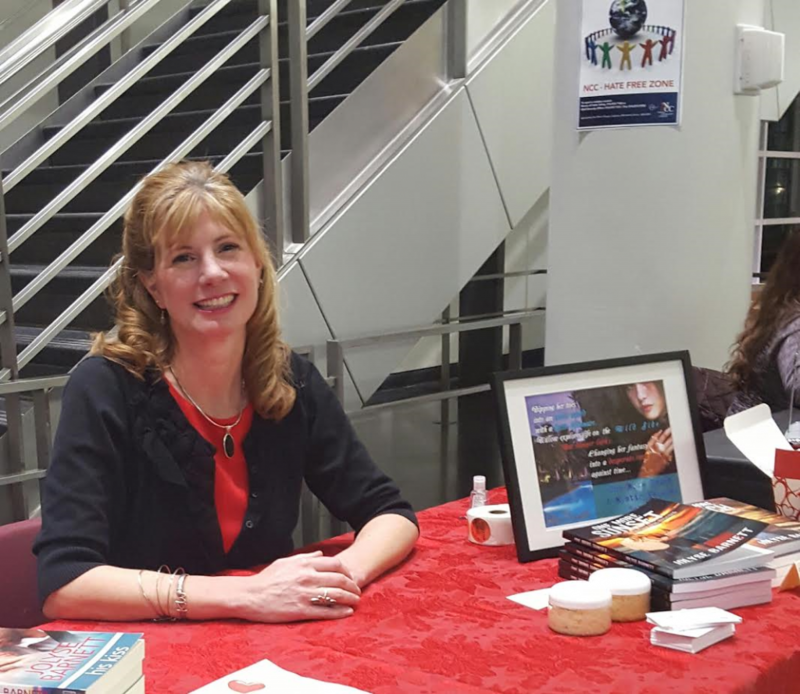 Join me on February second, when I’ll be selling and signing books from 5PM-10PM as part of Nassau Community College Foundation’s annual event, Cocktails and Couture. This NCC Foundation fundraiser will include cocktails, a handbag auction, paint party, health-wellness seminars, and exclusive shopping opportunities. Find the fun at NCC’s College Center Building’s multi-purpose room, 1 Education Drive, Garden City, NY. You can buy tickets here or go to the Nassau Community College Foundation FB page for more details. Get the Scoop on ONE MORE TOUCH! 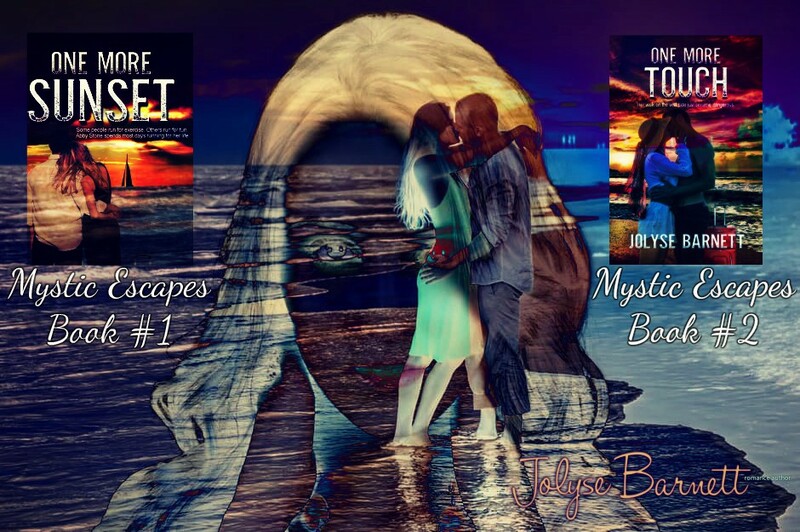 Let’s celebrate the release of One More Touch, a Mystic Escapes romance. I’ll be popping in and out all week at my Special Facebook Event. There will be sneak peeks into Willow and Griffin’s romantic adventure…a recorded snippet from one of my favorite scenes, a playlist of songs that inspired me during writing of the book, guest giveaways, an author Q&A, excerpts and teasers, character interviews, exclusive behind-the-book info for event guests, and a book trailer that will leave you wanting more! Check out my Coming Next Page for the blurb and the first two chapters, then return here and click to join my week-long Release Party For One More Touch by Jolyse Barnett. 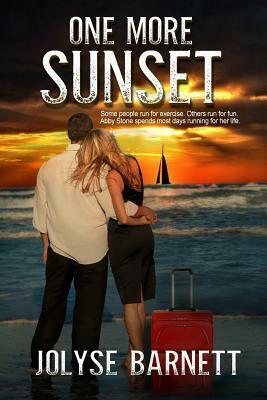 Enter to Win a Signed Paperback Copy of One More Sunset! Giveaway ends December 05, 2016. I have a special treat for you! Hop on over to my magical romantic thriller’s page for a NEW recording of an excerpt from one of my favorite scenes in One More Sunset. Enjoy!